As I travel around Virginia’s Fifth District, I constantly hear from constituents who are astounded and upset by the manner in which the federal government operates at times. They are often irritated by the misuse of taxpayer funds and the poor management of federal agencies. The government’s inability to fulfill many of its fundamental responsibilities due to incompetence or a lack of diligence disturbs us all. Recent examples of this mismanagement include the response to the Ebola crisis, the unconscionable mistreatment of our veterans in the Veterans Affairs health system, the Secret Service’s failure to protect the White House and the first family from fence-jumpers, the botched rollout of the federal healthcare website – which has cost us hundreds of millions of dollars – and countless other examples. Here in the Fifth District, we have seen troubling examples of this lack of common sense at the federal level, and I have introduced several bipartisan bills to address those issues. I introduced H.R. 2937, the Commonsense Permitting for Job Creation Act, because the Army Corps of Engineers refused to grant a permit for the development of an industrial park that would attract jobs to the Martinsville and Henry County area because no company had yet committed to building a facility. Yet no company would build a facility at this park unless the permits were approved. My bipartisan bill would remove this obstacle to job growth while ensuring compliance with environmental protocols. I also authored H.R. 5610, the Healthcare Consumer Privacy Act, when the Department of Health and Human Services denied a constituent’s request to remove his personal information from Healthcare.gov, even though he chose not to purchase insurance through the site. My bipartisan legislation would require HHS to delete profiles at a user’s request so their personal information is not vulnerable to cyberattacks. The American taxpayer pays a substantial portion of their earnings to fund government and will not tolerate incompetence, waste, or abuse on the government’s part – nor should they. They expect the government to be proactive, diligent, and capable of performing its intended functions. I am committed to continued oversight of all federal agencies and programs to weed out wasteful spending and ensure that core government functions are carried out efficiently and effectively. 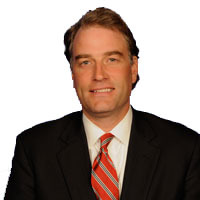 Robert Hurt represent Virginia’s Fifth District in Congress.